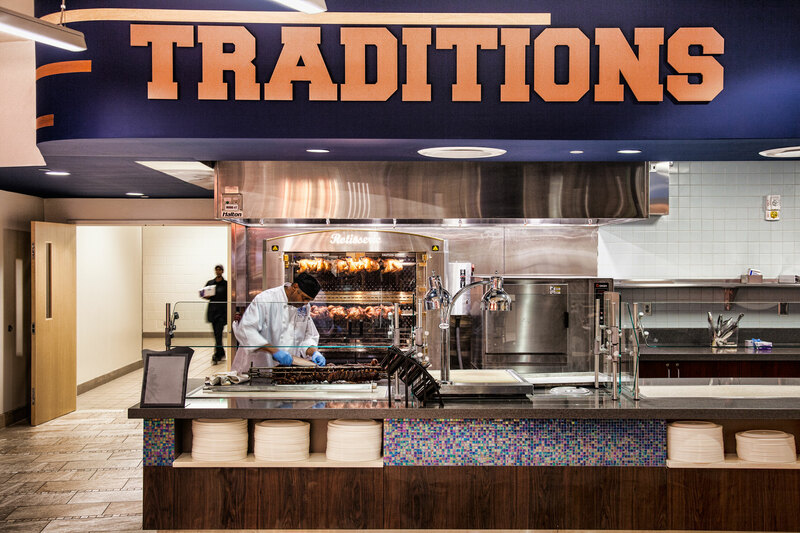 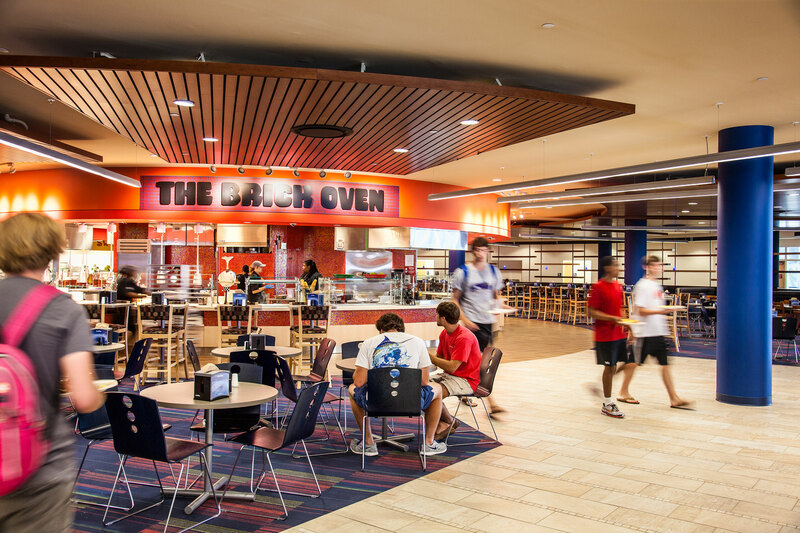 Designed and constructed concurrently with Lakeside Café, the Main Dining Commons is a replacement facility for the original dining hall (Landrum Center) built in 1966. 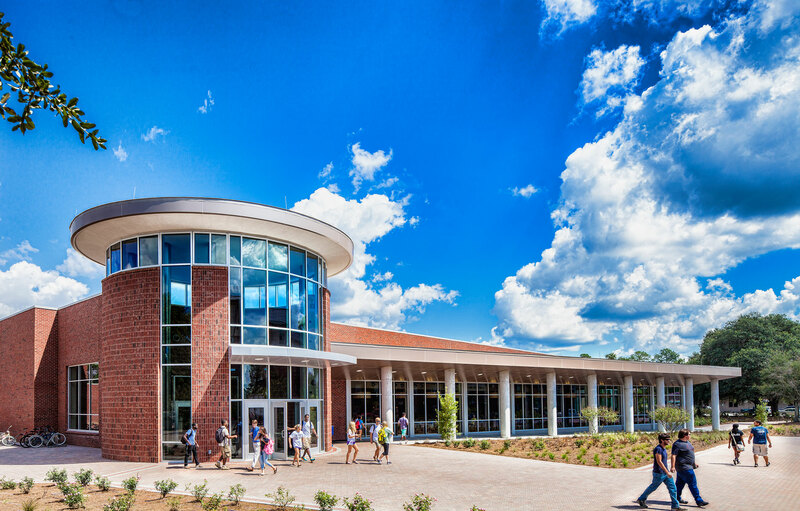 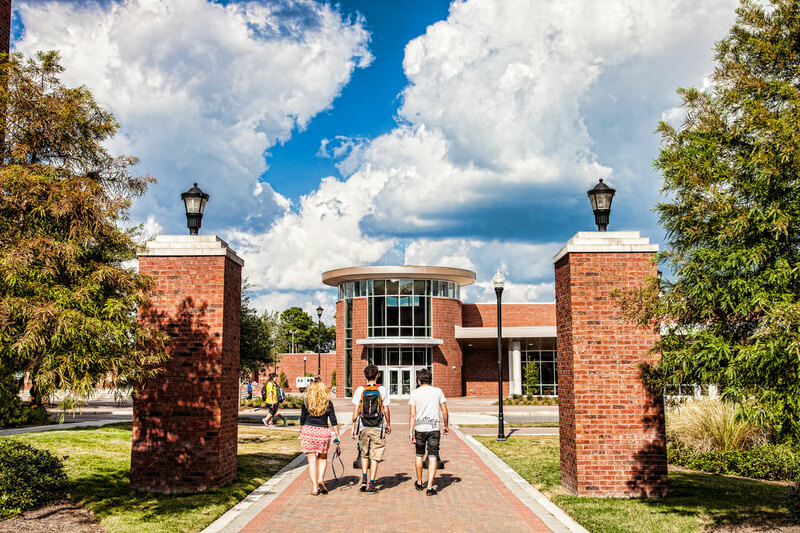 The facility was replaced and expanded to address current trends in higher education for extended operating hours and, in conjunction with Lakeside, to serve as a major campus node for a wide range of formal and informal student activities – the third place. 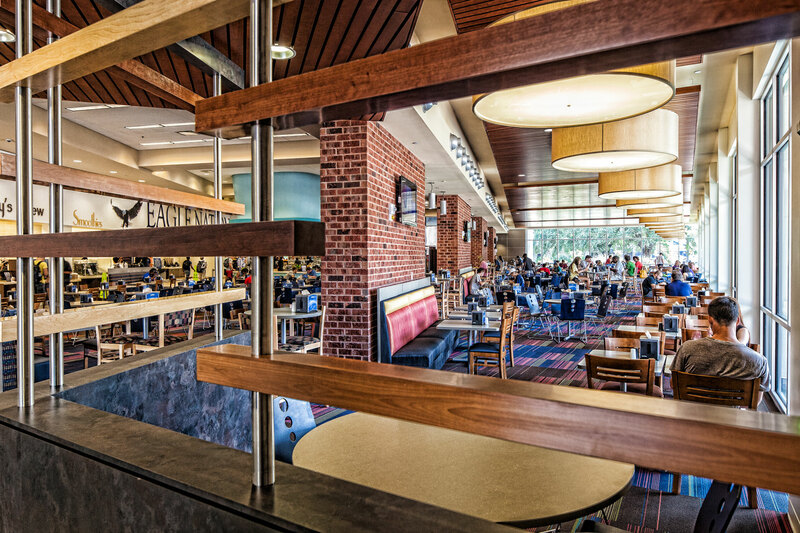 As a result of the CMA team’s emphasis on energy conscious and sustainable design, the Main Dining Commons received LEED Silver Certification.